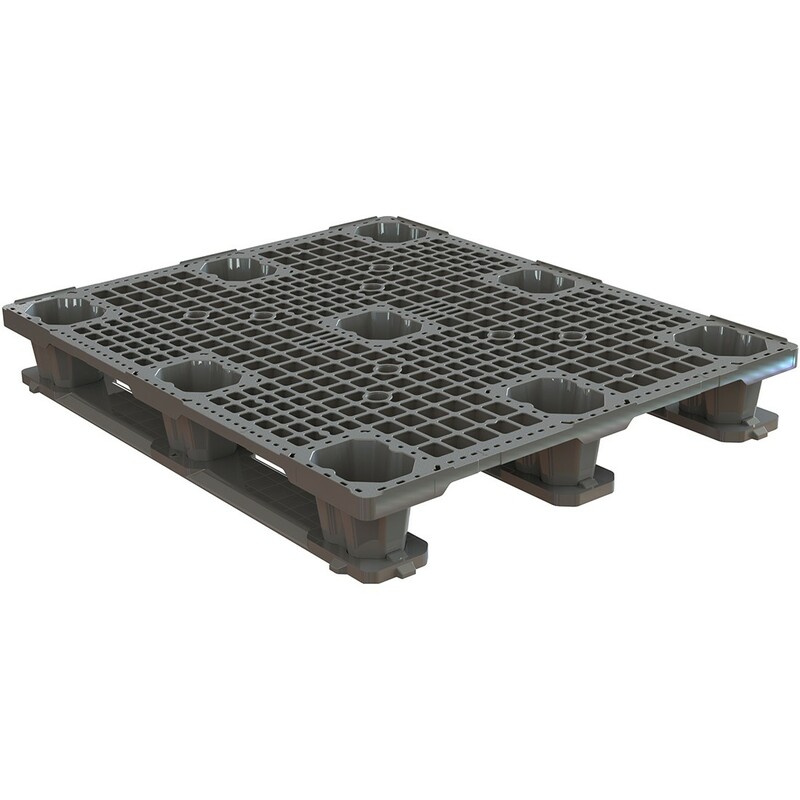 High pressure injection molded with high quality recycled HDPE resin, this pallet has a 3,000 lb dynamic capacity- heavy weight characteristics at light duty pricing. 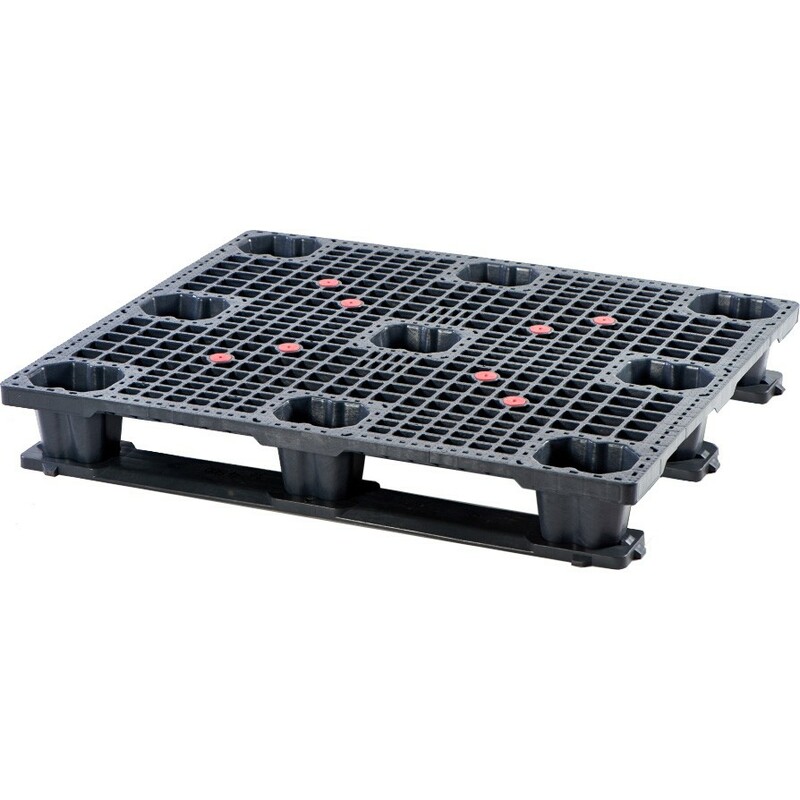 Ideal for one way export shipments, light-medium duty reusable applications, WIP, storage, display, and distribution applications. The open deck design allows for easy handling and cleaning. 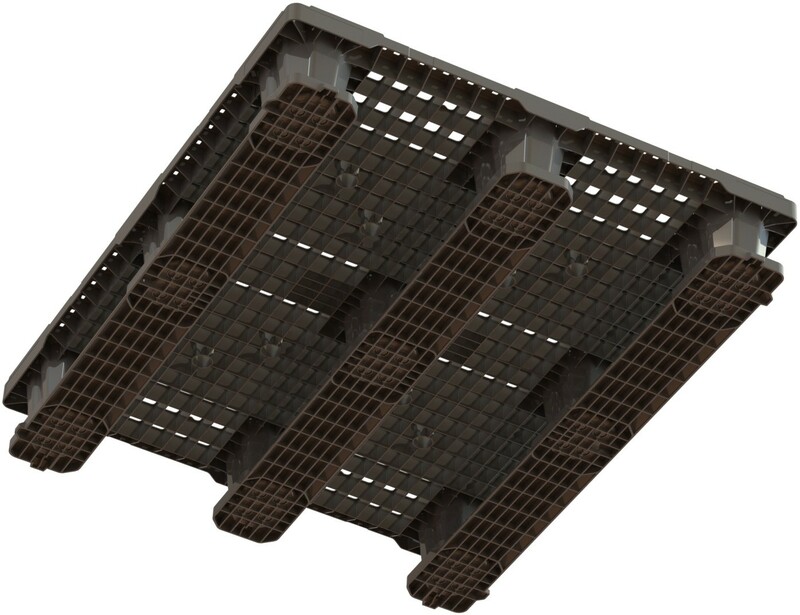 A superior nesting ratio allows for 1380 pallets to fit in a 53' truck, which significantly reduces the per pallet shipping costs.